Internists have to sort through the symptoms of gluten sensitivity to confirm a diagnosis. 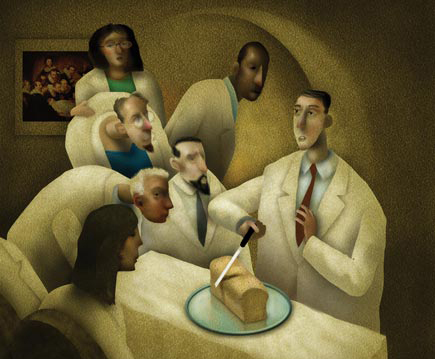 Excluding celiac disease and wheat allergy is essential, as is managing the patient's expectations and lifestyle. Internists can guide preoperative anticoagulation, ensure that patients are in optimal condition for procedures, and##mdash;perhaps most importantly##mdash;judiciously choose which tests to perform and which ones aren't needed. Involved in one-third of all deaths from prescription drug overdoses, methadone requires expert management to prescribe safely. Learn that latest guideline recommendations and when it's best used. Guidelines for a new HIV preexposure prophylaxis (PrEP) regimen offer a new way to combat the disease, but internists will have to gently explore this option with their patients. Learn who's at risk and how to have sometimes delicate conversations. The prospect of universal health insurance coverage was threatened when the Supreme Court carved out exemptions to employer-based health coverage, ACP's president says in his column about the College's support of the Affordable Care Act and preventive services without cost sharing. Patient-centered medical homes work because they incorporate best practices, pay internists for coordinating care, and ensure accountability in achieving healthy outcomes. Results from early adopters are showing positive results. Clinicians and the organizations in which they practice are moving beyond episode-based health care delivery and into the communities in which they exist, delivering services that would normally seem outside the scope of medical practice. This issue covers topics including clinical research on gluten sensitivity, proper preoperative assessments, and how to effectively prescribe methadone. Readers respond to ACP Internist's coverage about how handling durable medical equipment requests poses problems to their practices. It is important for internists to understand and plan for how they could meet the proposed service requirements and take advantage of payment for non-face-to-face chronic care management. Bring in an expert to manage shrinking reimbursement, changing regulations, and rising business costs. A 58-year-old woman is evaluated for a 3-month history of fatigue and a nonpruritic rash on the chest and arms. The rash worsens with sun exposure. The patient reports no pleurisy, dryness of the eyes or mouth, arthritis, or Raynaud phenomenon. There is no evidence of synovitis. The appearance of the rash is shown. A physical exam and laboratory tests are normal. Antinuclear antibody test results are negative, and anti-Ro/SSA antibody test results are positive. What is the most likely diagnosis?.